The new European Parliament has two legal and political obligations under the Treaty of Lisbon. The first is to initiate a uniform electoral procedure (art. 223(1) TFEU), the second is to propose a formula for the apportionment of seats (art. 14(2) TEU). Both must be accomplished in time for the 2019 elections. Nobody who wishes Europe well can be proud of the ever-declining overall turnout at European Parliamentary elections. In 2014 the Spitzenkandidaten experiment was a success at the élite level. But there is clearly still a need to electrify the election campaign at the level of the electorate, to raise the European dimension and to accentuate voter choice. The missing link between the EU voter and the supranational authorities is the absence of proper political parties. Whereas national parties have almost given up the effort to support European integration, federal parties have not yet emerged to take their place. European democracy is in a risky stage of transition between national and post-national politics. 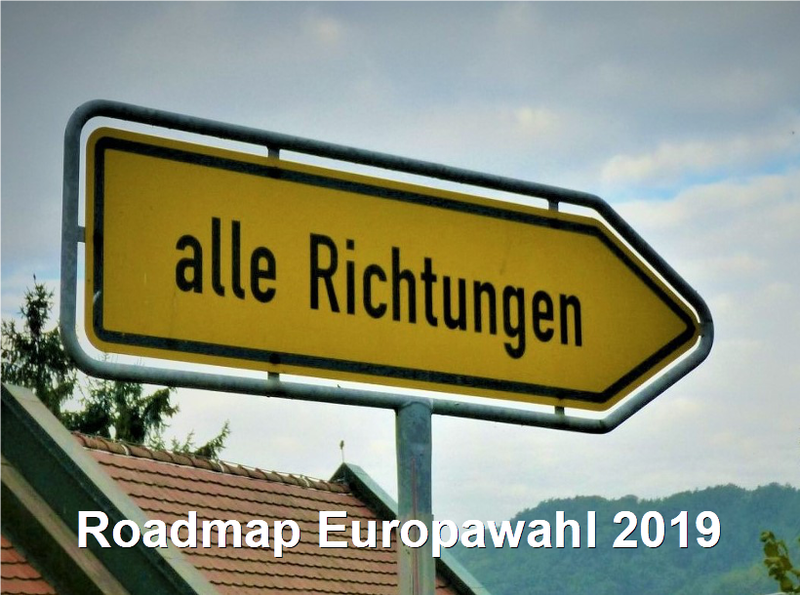 For that reason many MEPs in the last Parliament supported my proposal to create a pan-European seat from which 25 MEPs would be elected from transnational party lists. In 2013 the Spinelli Group published a full revision of the 1976 Act on direct elections. In their draft Fundamental Law of the European Union (pp. 273-280), the Act is transformed into a Protocol to the Treaty giving it visibility without changing its status in primary law. Degressive proportionality is correctly defined, legal bases are established for the pan-European constituency and for an EU electoral authority to conduct the transnational election. The proposal makes it clear that the elector will have two votes, one for his or her national or regional constituency, and the other for the EU wide one. This proposal deserves now to be enacted. In their Conclusions of 26-27 June 2014 (para. 27), the European Council has also agreed to review the matter of how the Commission President is to be appointed in 2019. Parliament should exploit this opportunity to follow the logic of Lisbon by putting the next batch of European party champions on top of transnational lists for election to the Parliament. It is deplorable that decisions on the apportionment of seats in the European Parliament between EU states have been haphazard, unfair and inexplicable. Even the casual observer can notice that parliamentary seats have been traded between states, usually in the last hours of an IGC, to square ostensibly more important deals. It is useful that the Bundesverfassungsgericht has criticised the current random apportionment of seats in its “Lisbon” Judgement of 30 June 2009 (esp. para. 279-297). The last Parliament mounted an enquiry into how best to establish a method for seat apportionment which would be transparent, explicable, equitable and durable. The result is known as the Cambridge Compromise (CamCom) and has generated broadly favourable comment. A variant of the formula would introduce the full CamCom in two stages so that no state loses more than two seats at the next elections in 2019. 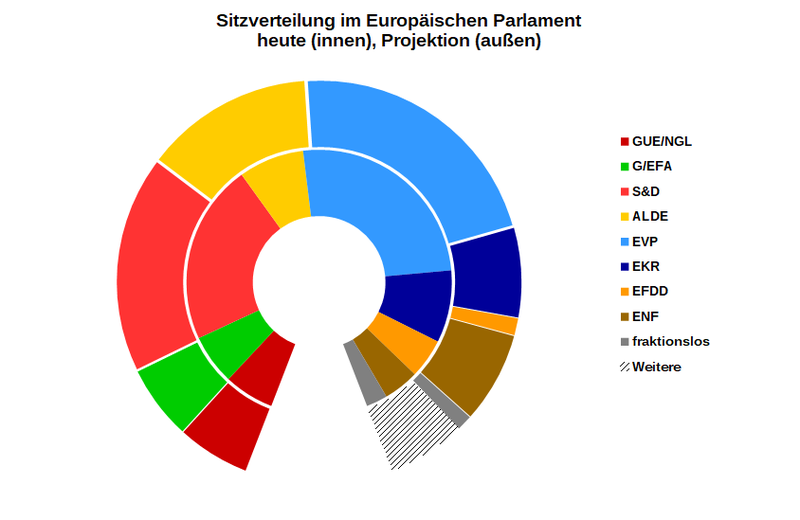 The rising mobility of populations within the Union (notably the Western migration of workers), demographic changes (such as the decline of Germans), and the possibility not only of the future accession of new member states but also of the splitting up of existing member states, all require the Parliament to take very seriously its duty to re-apportion seats during each mandate. After a row about the number of seats to be given to Croatia, even the European Council has committed itself to finding, with the Parliament, an arithmetical formula for the future distribution of seats. If the apportionment of seats in the Parliament is to become more proportional it follows that the weighting of votes in the second chamber of the legislature needs also to be reviewed. The entry into force of the Lisbon system from 1 November 2014 – that is, a Qualified Majority Vote formed of 55% of states representing 65% of the population – favours both the larger states (in terms of population) and the smaller states (in terms of the number of states needed to reach a majority). The middling size states, therefore, which stand to lose their over-weight in the Parliament under CamCom, should seek a further reform of the voting system in the Council. This calls for the resurrection of the scheme based on the square root of population that accords voting power in degressive proportion to size. A scheme from academics in Cracow, named the Jagiellonian Compromise (JagCom), was submitted to the European Constitutional Convention in 2004, but not taken up (see also Pukelsheim 2014). It deserves to be considered again. A combination of CamCom and JagCom would adjust the balance of power between the states in the Union’s legislature in an equitable, transparent and durable manner. The European Parliament has long since passed the point when it was merely an aggregation of the different national parliamentary cultures of the states. In the last decade, it has survived the shock of enlargement, become a credible and efficient legislator and made itself an indispensable player in the constitutional evolution of the Union. Internally Parliament has been an innovator. What it lacks is an affinity with the people it exists to serve, which leads to some doubts about its democratic legitimacy and symptoms of a mid-life identity crisis. Electoral reform will do wonders for Parliament’s public profile and self-confidence. The reform of the electoral law, the system of seat apportionment in the Parliament and voting weights in the Council are matters of EU primary law. This means a revision of the Treaty of Lisbon which can only be done within a new Convention. Other important constitutional developments are pending, notably the completion of fiscal union and a settlement of the British problem. 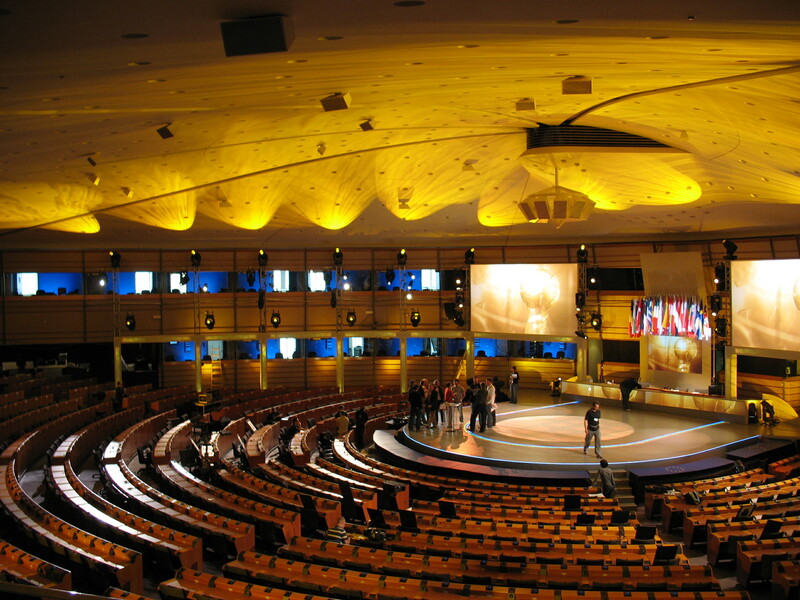 But this time round, Parliamentary reform must find a central place on the Convention agenda. Andrew Duff (@AndrewDuffEU) was a Member of the European Parliament from 1999 to 2014 and President of the Union of European Federalists from 2008 to 2013. As an MEP, he was a founding member of the Spinelli Group and rapporteur for the report on a proposal for a modification of the Direct Elections Act, which became widely known as the “Duff Report”. In January 2015, his new book Pandora, Penelope, Polity: How to Change the European Union was published by John Harper. If you could freely design the electoral system of the European Parliament, what should it look like? Images: By helsinki51 [CC BY-NC-SA 2.0], via Flickr; by Diliff (Own work) [CC BY-SA 3.0 or GFDL], via Wikimedia Commons. One major problem that the European Parliament needs to adress: The current system does not guarantee that each citizens has a concrete MEP who is "responsible" for him. Citizens have no clear MEP to approach. I would propose something similar to the German "Bundestag"-election: A combination of proportional representation and constituencies. Proportional representation guarantees all important political viewpoints are represented in the parliament. Constituencies give citizens a concrete MEP to approach with their concerns - and therefore increase the link between citizens and parliament. It would help a lot to increase acceptance of the parliament.